If you would have told me that a movie about magicians (MAGICIANS!!) who use their tricks to pull off crimes would earn $351 million worldwide, I would have laughed. I might have believed you, but I still would have chuckled. If you turned around and told me that movie would produce a sequel (A SEQUEL!!) – and one that looks really good – well, I’m not quite sure how to process that news. 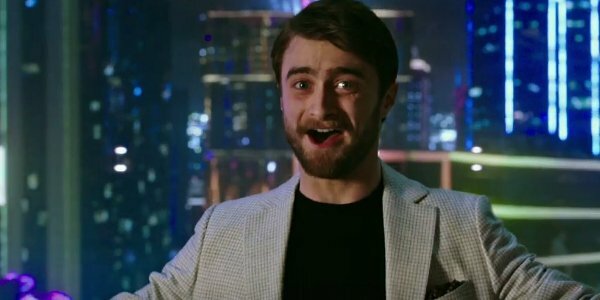 So, let’s just enjoy the trailer for Now You See Me 2 together, and analyze it after. The Four Horsemen are back… though there have been some changes since last we saw them. Isla Fisher seems to have been replaced this time out by Lizzy Caplan (though she doesn’t get a ton of screen time in this new clip. What we do learn, however, is a bit more of the plot. Morgan Freeman, who helped both side of the equation in the first movie, is back to explain that the magicians of the Horsemen tribe (Jesse Eisenberg, Woody Harrelson, Dave Franco and Caplan) have been lured into a trap. The only way out, they are told, is to go through. And in order to go through, they are going to need this guy’s help. That’s right: Harry Potter will be doing magic in this movie! Behind the scenes, Now You See Me 2 -- a movie that NEEDED to be named No You Don’t -- has tapped the skills of director Jon M. Chu, who cut his teeth on Step Up flicks before graduating to G.I. Joe: Retaliation. He brings a noticeable energy and pizzazz to this Now You See Me 2 footage. Eisenberg’s trick with the raindrops is awesome, though magic on the movie screen is harder to make look cool. Camera tricks in post-production don’t amaze like magic tricks performed in a live setting. That being said, the first Now You See Me sailed along on the arrogance of the cocky cast, and we don’t see the sequel losing a step. In addition to the original team, the sequel adds Daniel Radcliffe and Sanaa Lathan, and returns Mark Ruffalo, Freeman and the great Michael Caine. It must be good. The studio already greenlit Now You See Me 3. In the meantime, Now You See Me 2 will reach theaters on June 10, in the heart of the summer movie season. What do you think of this latest trailer?